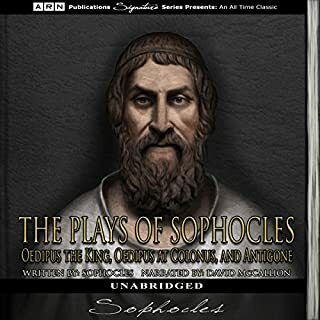 Everything about this audio book is flawless, save for the switching of speakers and characters not being well defined. 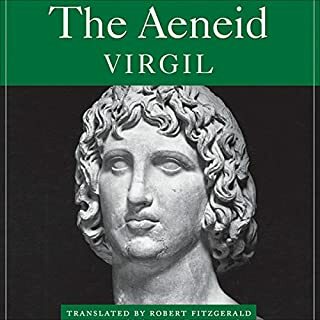 Listening to this while reading the text is the best way to experience this audio book. I read this book for school. The actors did a great job, but the sound quality is horrible!!! Not bad. Individual actors are good. But the chorus of people at once is horrendous. My only complaint would be the constant echo of repeating words in the background. Other than that good listen. Beautifully written, performed, and recorded. I literally cannot get enough of this performance. plus it's creepy AF! 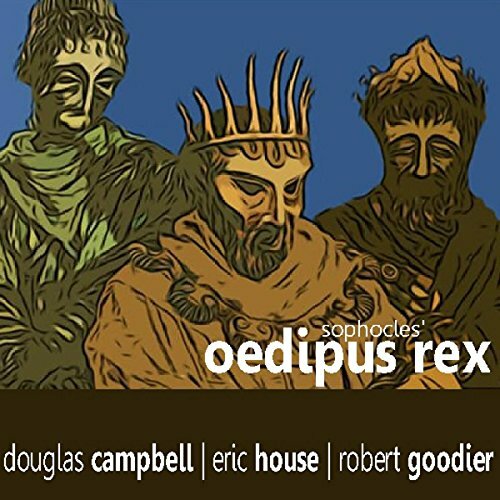 What did you like best about Oedipus Rex? What did you like least? The actors did try to spice up their characters. More dramatization for me please. 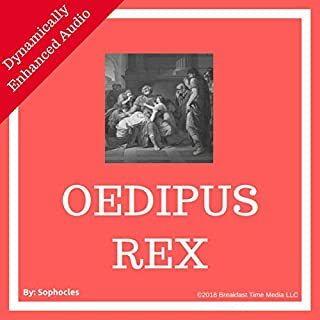 What other book might you compare Oedipus Rex to and why? Did Douglas Campbell do a good job differentiating all the characters? How? 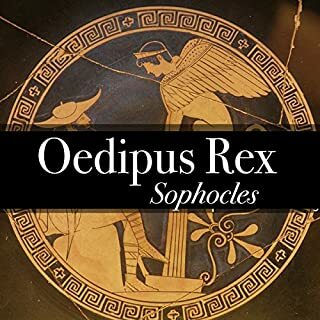 Do you think Oedipus Rex needs a follow-up book? Why or why not? Yes. To know how he and his daughters made out. This is a mysterious and haunting audio version. 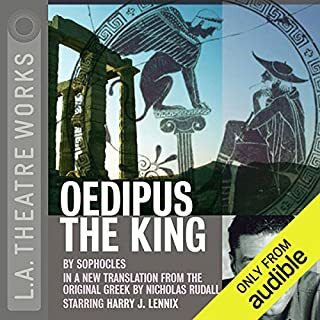 It's basically the soundtrack of a stage production that was done in a highly stylized form some 50 years ago: the actors wore masks and spoke in an "elevated" way, sometimes emphasizing the verse (I believe the translation is by W.B. Yeats), sometimes trailing off into a wail of pain. You can almost imagine you're sitting in one of the great stone amphitheaters of ancient Greece. The tone of it takes some getting used to, but if you let it take hold of you, it's compelling and moving. 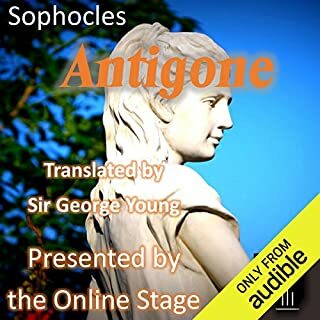 The closing music, for me, sums up the somber, exalted mood of Greek tragedy better than anything else I've heard.